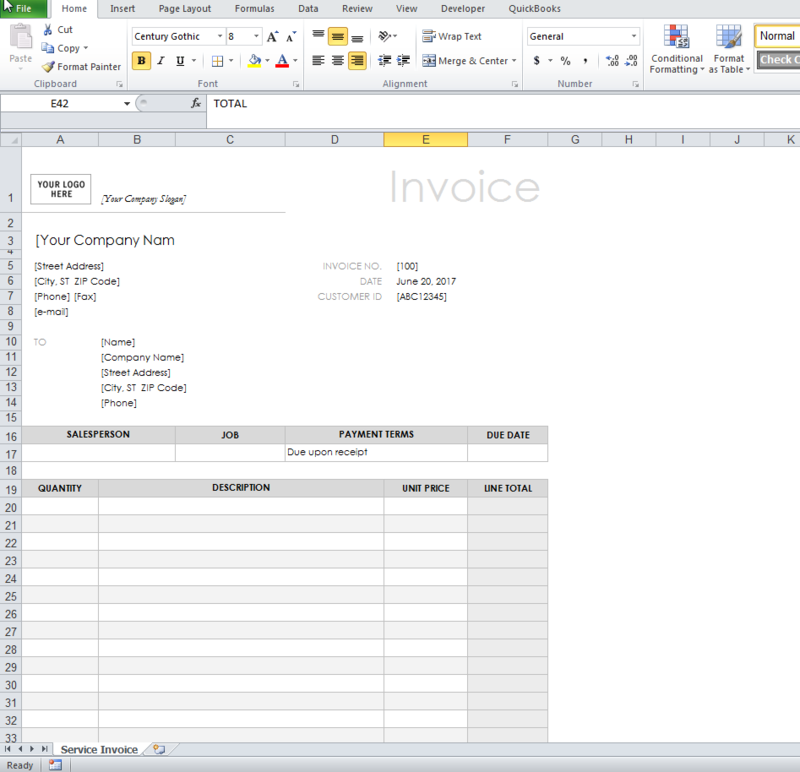 I would like to know if QODBC will convert QuickBooks Pro Desktop invoices into MS Excel Report. The attached invoice is similar to what we need to export to MS Excel. It doesn't have to be exact but needs to be able to show the descriptions, etc. 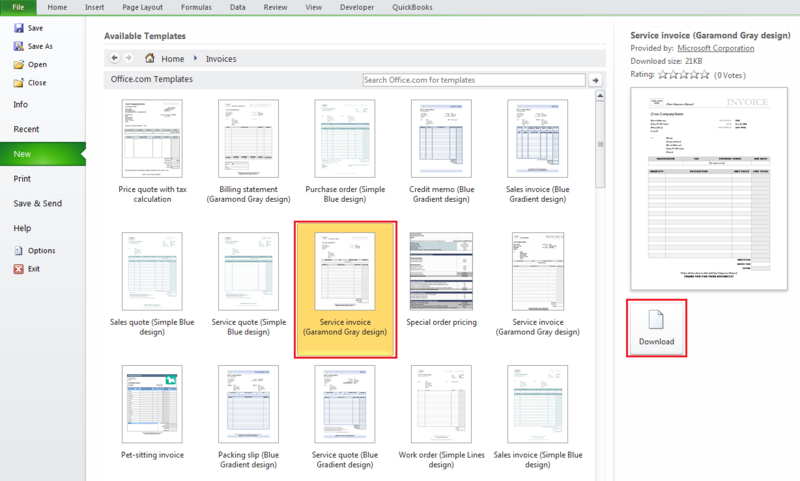 You can export QuickBooks Invoices into MS Excel format using QODBC. You can do it through VBA in MS Excel. 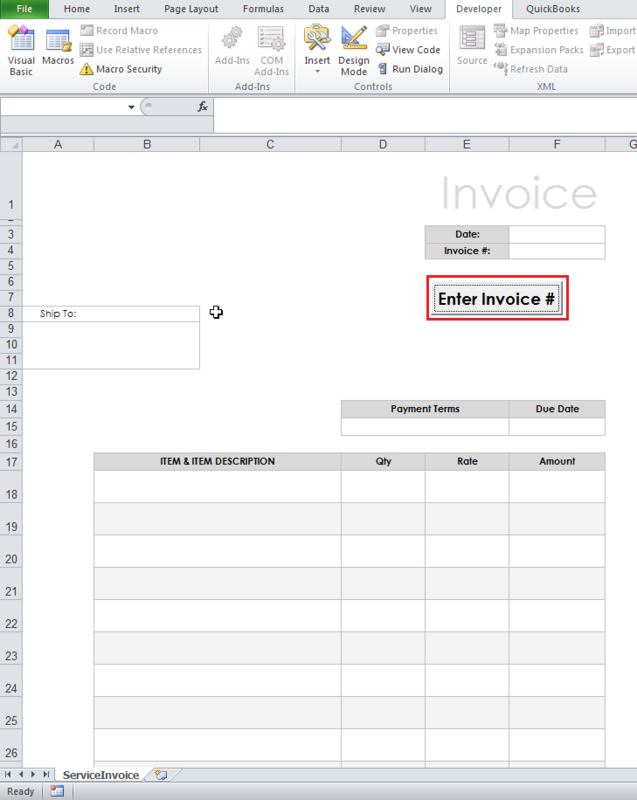 The first step is to download Invoice Template in MS Excel. 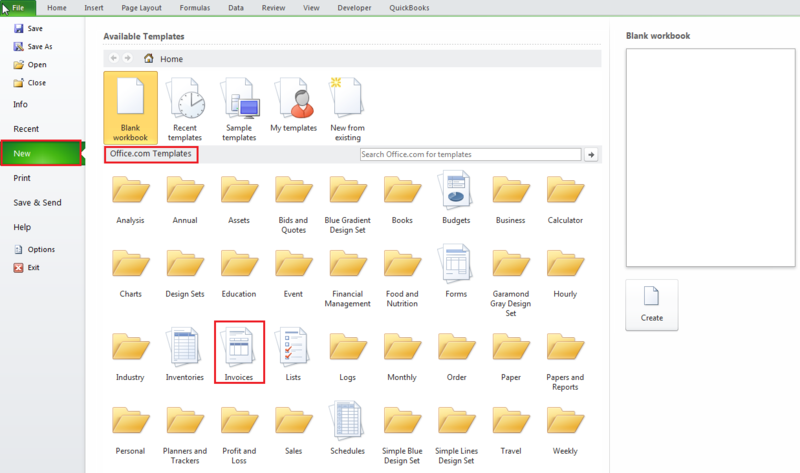 You can download the template by clicking "New" & you can find template under "Office.com Templates". 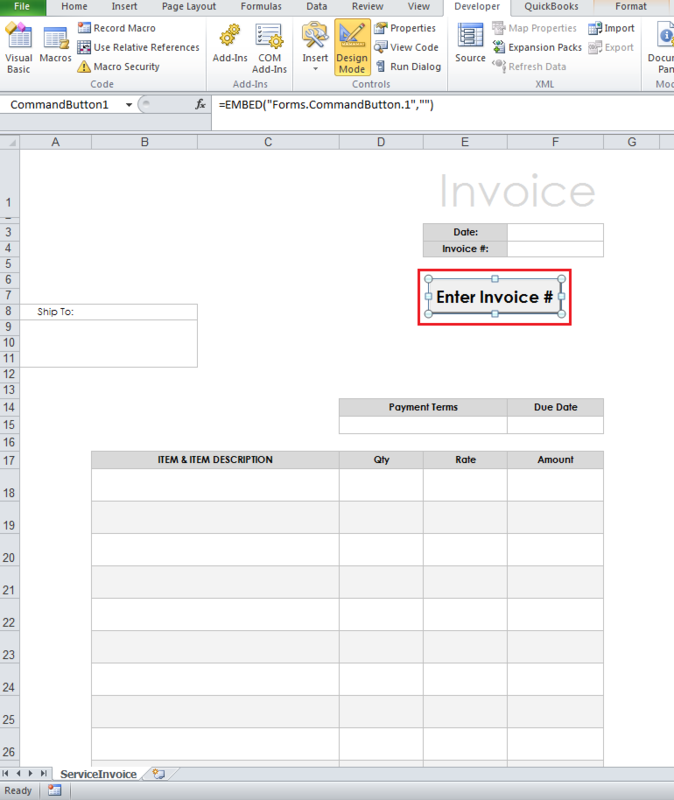 Click on "Invoices" to see the list of Invoice templates. You can download the template by selecting template as per your requirement & click on "Download" button to download the template. 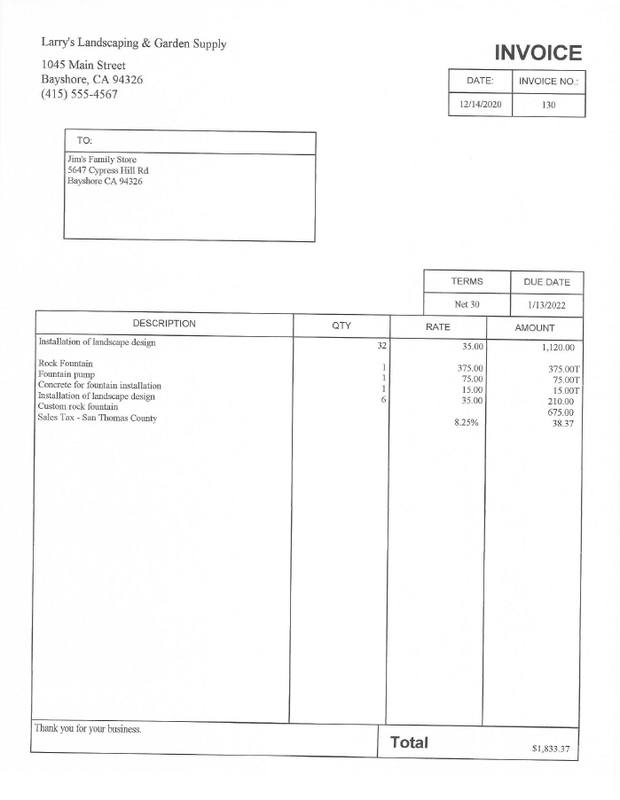 In this example, I have downloaded "Service invoice (Garmond Gray Design)" template. 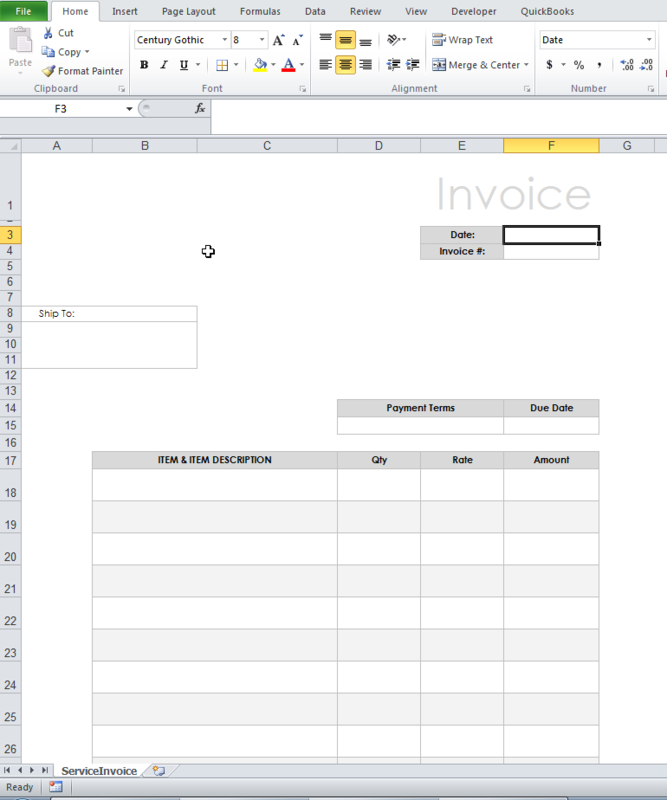 Invoice Template is available with sample data. You can modify the template as per your requirement. I have made changes in the template. I have removed company information, logo, CUSTOMER ID, SALESPERSON, JOB, LINE TOTAL. I have changed some existing caption & added ITEM & ITEM DESCRIPTION. We will fill out this information dynamically by VBA code. We will add button which will ask for RefNumber of Invoice by entering RefNumber VBA code will fetch Invoice detail for particular RefNumber & fill details in Invoice template. Now we will add button & we will write code for button click event. 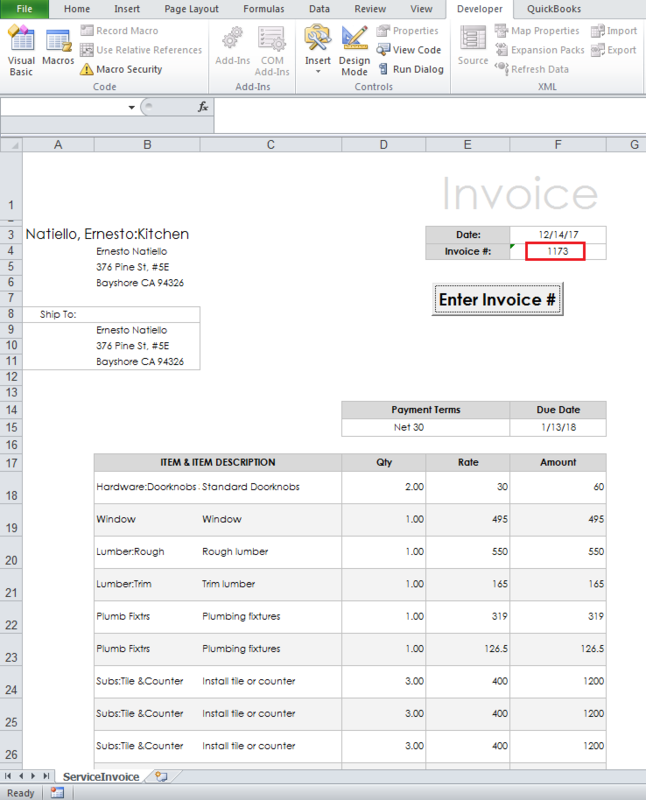 On button click, it fetches Invoice from QuickBooks & fills it in the template. 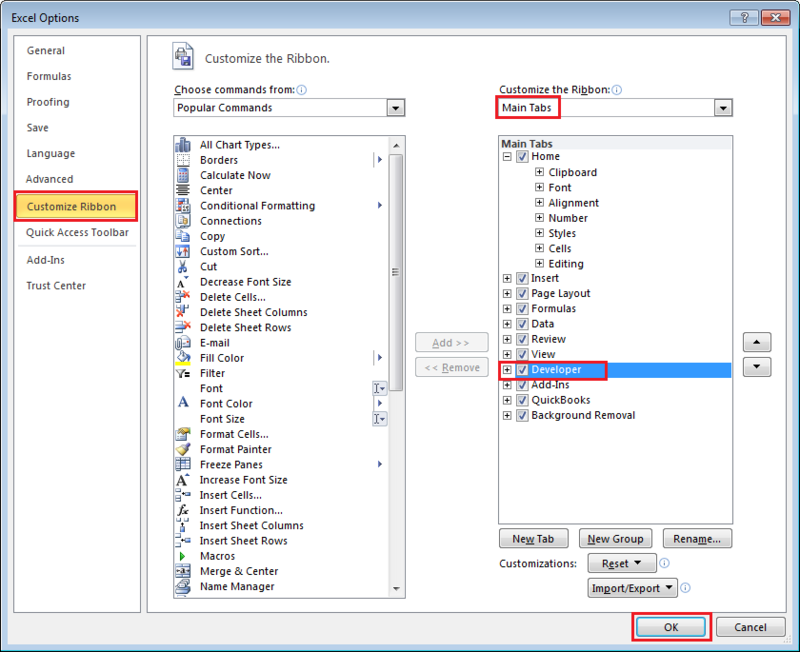 You can add button from Developer tab in MS Excel. If the Developer tab is not available, then follow below steps to display it. Click the "File" tab, click "Options". Click the "Customize Ribbon" category. In the "Main" Tabs list, select the "Developer" checkbox, and then click "OK". On the "Developer" tab, in the Controls group, click "Insert", and then under "ActiveX Controls", click "Command Button". A Command Button is added. I have renamed it to "Enter Invoice #". Double click on the command button to write code. Write below code for export QuickBooks Invoices into MS Excel Report format. sSQL = "SELECT TxnID,CustomerRefFullName,TxnDate,RefNumber,BillAddressAddr1,BillAddressAddr2,BillAddressCity,BillAddressState,BillAddressPostalCode,ShipAddressAddr1,ShipAddressAddr2,ShipAddressCity,ShipAddressState,ShipAddressPostalCode,TermsRefFullName,DueDate,Subtotal,InvoiceLineItemRefFullName,InvoiceLineDesc,InvoiceLineQuantity,InvoiceLineRate,InvoiceLineAmount FROM InvoiceLine where RefNumber = '" & FnRef(InvNo) & "'"
We need to add below function for passing RefNumber parameter value in the query. You can check functionality by clicking on "Enter Invoice #" button. MS Excel will prompt for RefNumber as shown in the below sample. Enter a RefNumber value and click "OK". The report available for particular RefNumber. You can print the report by clicking "Print". 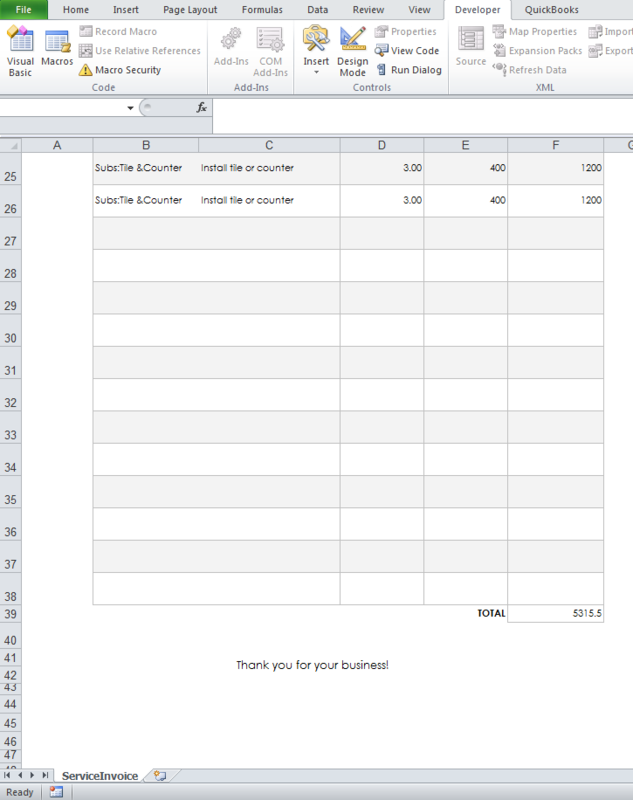 The Invoices in MS Excel report format is shown as below. "We need to add below function for passing RefNumber parameter value in the query." This function will get RefNumber input from the Excel file & pass it to the query for fetching the Invoice details for passed RefNumber.